Personal CFO : Sauser Financial, LLC - Integrated Strategies. Comprehensive Solutions. Most successful businesses have a Chief Financial Officer who is primarily responsible for overseeing the financial activities of the corporation. We believe successful people need the same kind of financial resource, and at Sauser Financial, that is what we do. 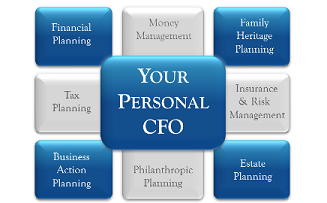 We are the personal CFO. We serve the personal CEO; coordinating and managing our clients' team of trusted advisors so their strategies are implemented timely, effectively, and simply. The advisory team often includes accountants, attorneys, bankers, insurance agents, investment brokers, trust officers and other professionals.